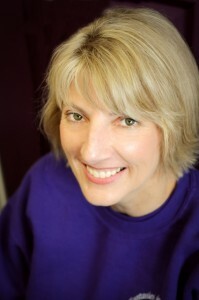 Darla Julin CD, is an award winning cake artist and baker- and owner of Fantasies in Frosting. She will help you design the cake of your dreams! She has been making delicious wedding cakes (among other decedent desserts) for over 27 years. In this post, she offers some helpful advice for couples who are planning their wedding. Many websites and wedding “planners” suggest that the bride and groom order their wedding cake 2-3 months in advance. For our business, that would be too late. We suggest you book your cake 6-12 months in advance. Wedding season starts in April and goes through October. We are usually making cakes for every weekend. If a bride is interested in having us make their cake, they can put down a deposit and that will hold and book their date. Then they can come back to us 2-3 months before the wedding and can finalize the details. Before you consider a cake shop or bakery for your wedding cake, talk to them to see if you need to make an appointment for a consultation or if you can just drop in to see them. All of our consultations are by appointment only. This way we can give the one on one attention each bride deserves. Bring a few people with you, (1-3) but not anymore than that. Everyone will have an opinion on what cake flavor and style you should have. The more people you bring along, the harder it is for the bride to make a decision. Usually the bride and groom come to the appointment along with the bride’s mother and maybe the groom’s mother also. Have a budget in mind. If you are not really sure- it is difficult for the baker or cake designer to help you pick out a design. The cake is just as important as the rest of the food that is going to be served at your reception. You want a cake that tastes great on the inside and has beautiful decorations on the outside. Get referrals from other brides and your friends. This is our best form of advertising. If brides are giving you good referrals for wedding vendors, use them. It will save you time and money so you don’t have to run all over town checking out other vendors. Approximately how many guests will you have? What are your wedding colors? Are you having a topper on your tiered cake? Will you be keeping the top tier of your cake for your 1st anniversary? Do you have any designs in mind? Are you having a “theme” for your wedding? All of these factors into what your wedding cake will look like. Have a prominent place to set your cake at the reception site. It should be placed on a table located where all of your guests will be able to view it. Cakes are works of art and should be placed appropriately. Have your photographer take pictures of the cake alone and then with the bride and groom cutting the first piece and feeding each other. Leftover pieces are sometimes served towards the end of the dance or at the gift opening on the next day. Either way, you won’t have any cake left over! Contact Fantasies in Frosting for your perfect wedding cake or treats. This entry was posted in Planning, Reception and Party, Uncategorized and tagged Cakes, Ideas, Planning by Affairs by Brittany. Bookmark the permalink.